As many of you know, last month we filed a lawsuit challenging the legality of the Forest Service’s decision to approve a land swap that facilitates the long-threatened Pillage at Wolf Creek. Although the land will likely be exchanged later this week, we’ve signed an agreement with the developers and Forest Service ensuring that no construction will proceed until our lawsuit is resolved. If you haven’t already, take action to help us protect Wolf Creek Pass. Denver, CO – Conservation organizations, the U.S. Forest Service, and the Leavell-McCombs Joint Venture signed an agreement today that will halt all construction and development on two disputed land parcels at the top of Wolf Creek Pass in southwestern Colorado. The agreement will maintain the physical status quo on Forest Service and private land while a lawsuit filed by the conservation organizations works its way through Federal Court. The land exchange gave Leavell-McCombs Joint Venture $70,000 and 205 acres of Forest Service land adjacent to U.S. Highway 160. In exchange, the Forest Service received 177 acres of a Leavell- McCombs Joint Venture private inholding within the boundaries of the Rio Grande National Forest. The exchange would give the developer expanded highway access needed to construct the “Village at Wolf Creek,” a development of condos, townhomes, hotels and retail stores for up to 8,000 people. Conservation groups filed a lawsuit in Federal Court last month aimed at stopping the land exchange and ensuring that the Forest Service reveal and consider its full authority to protect the National Forest from the impacts of the proposed development. 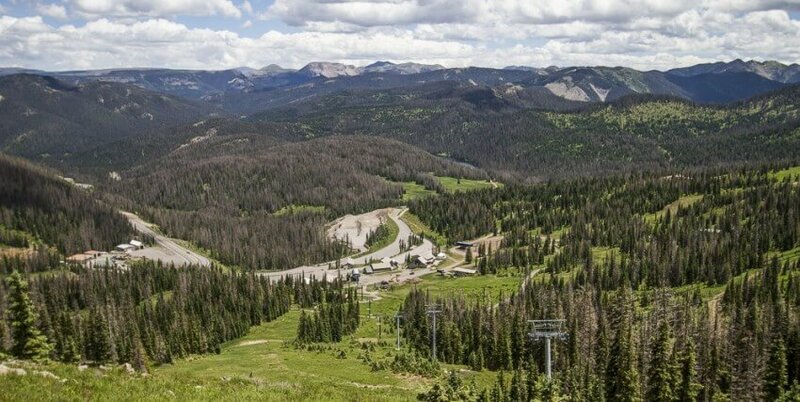 The lawsuit asserts that the Forest Service unnecessarily limited the scope of its environmental analysis to avoid fully analyzing the impacts that the development would have on National Forest land, and the Forest Service’s options to avoid those impacts. Additionally, the suit alleges that the Forest Service used a biased and conflicted review process to approve the exchange. Today’s agreement preserves the status quo so that all parties can avoid the substantial time and expense involved with preliminary injunction motions. It also moves the case toward a decision on the lawsuit’s merit.